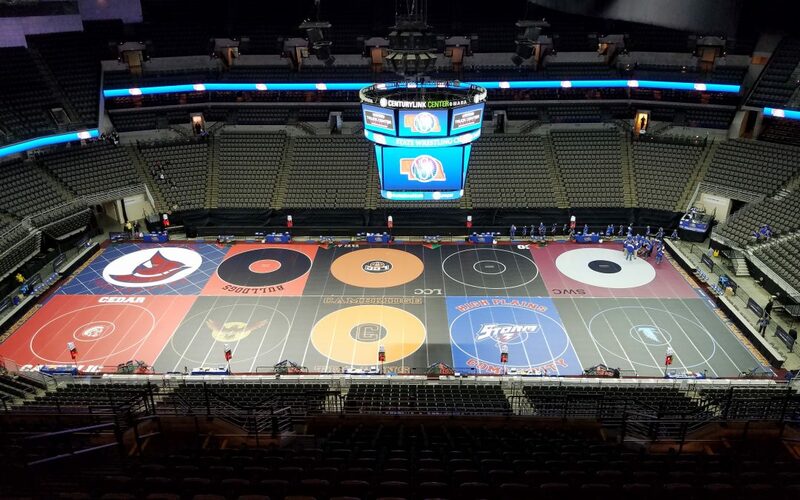 State wrestling gets underway today through Saturday, and Mike Burge and Robert Joseph will be bringing you all of the action live from the CenturyLink Center in Omaha. Keep it tuned right here for the latest! Chris Williams (34-2) placed 6th and scored 10.50 team points. Gage Krolikowski (37-1) placed 6th and scored 11.00 team points. Jordan Kelber (38-1) placed 6th and scored 11.00 team points. Julian Ramon (22-5) place is unknown and scored 4.00 team points. Chase Olson (39-8) placed 6th and scored 7.00 team points. Caleb Long (38-2) placed 6th and scored 9.00 team points. Donald Stephen (34-2) placed 6th and scored 11.00 team points. Lane Mcginley (29-12) place is unknown and scored 0.00 team points. Teven Marshall (41-4) placed 6th and scored 11.00 team points. Brady Gracey (33-6) place is unknown and scored 4.00 team points. Jade Lovitt (31-4) placed 6th and scored 9.00 team points. Zachary Sweet (13-8) place is unknown and scored 2.00 team points. Brandon Cooley (23-8) place is unknown and scored 0.00 team points. Josh Cox (19-9) place is unknown and scored 0.00 team points. Ty Kvanvig (24-9) placed 6th and scored 8.00 team points. Clayton Hassett (34-10) place is unknown and scored 4.00 team points.